When your Chicagoland home needs replacement windows, the window company to call is Midwest Window and Door with two showrooms in Montgomery and Elk Grove Village, IL. From wood and vinyl replacement to energy-efficient replacement windows, we have a full line of products to give your residence a bright, new look. As one of the leading replacement window companies in Chicagoland, we have been supplying home window replacement options to local homeowners for more than 30 years — and today, we’re able to offer replacement vinyl, wood and energy-efficient windows in various brands and styles. Why Midwest Window and Door? We provide replacement windows at affordable rates catered to your budget and needs. If your windows are old and/or damaged or you simply want to update your home’s look with replacement windows, Midwest Window can help. We have two window showrooms in the northwest Chicago suburbs, making it convenient for you to visit and learn more about the right new windows for you. 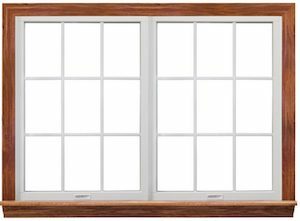 At Midwest Window and Door, we carry both vinyl windows and wood windows, in various styles and colors. If you aren’t sure what you want, and need some design guidance, we’ll be happy to help. At our window replacement stores in Montgomery and Elk Grove Village, you can see our options in person to get a feel for what you might like. If you’re concerned about window replacement cost, we can work with almost any budget and help you find an affordable choice. Our two locations allow us to serve customers throughout Chicagoland — in cities such as Barrington, Bloomingdale, Hoffman Estates, Inverness, Mount Prospect, Itasca, Palatine, Roselle, Schaumburg, South Barrington, Wood Dale and more. Wherever you’re located in the Chicago suburbs, we’re a local choice that makes sense. We have weekday office hours 7 AM to 4 PM, and can accommodate appointments on weekends and evenings as needed. Contact us for an appointment at one of our showrooms or in your own home. Thanks to our success in the industry, Midwest Window and Door has become one of the top Marvin window dealers in the Chicago area. Visit either of our window replacement stores, in Elk Grove Village or Montgomery, to learn more about the variety of Marvin window products we offer. Our consultants will be happy to discuss your options and help you make the right choice.